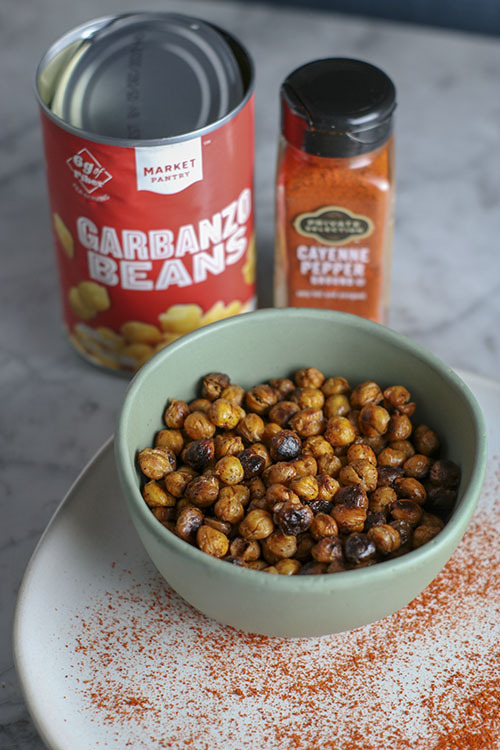 Chickpeas, garbanzo beans – whatever those funny little things are called – are delicious. Possibly one of the most underrated legumes. But I never actually know when/how to eat them. In a salad, yes. Sometimes in a soup, yes. But what if I want more chickpeas!? They are such a great source of protein – why not have them as a snack? Packing food for work every day is a challenge. There is a fine balance between too much food and too little food. I don’t know about you all, but I somehow manage to always eat EVERYTHING that I bring to work. If I pack breakfast and lunch. I’ll eat breakfast and lunch. If I pack breakfast, lunch, and 2 snacks. I will eat breakfast, lunch, and two snacks. If I pack enough food for a small family, I will eat enough food for a small family. 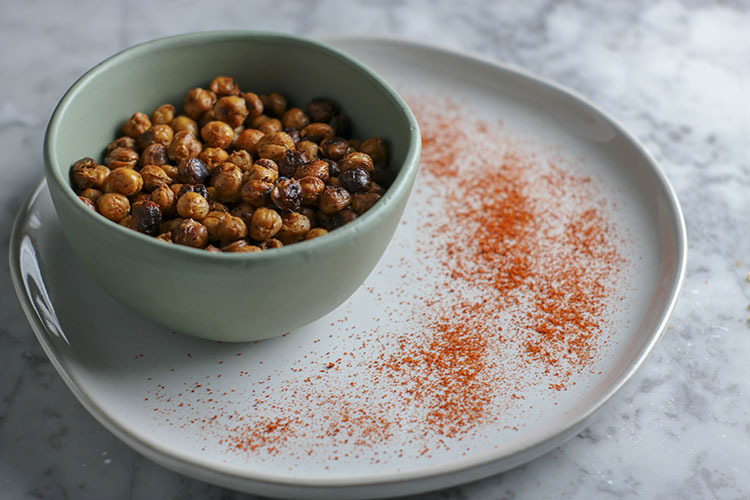 These baked chickpeas are the perfect snack – they are light and crunchy, therefore entertaining to your mouth. Yet packed with protein to help sustain you through the day. Eat them plain, sprinkle them on soup or salad, the options are endless. I love bringing them to work for a little pick me up in the afternoon. They satisfy my need to “crunch,” but give me a boost of protein which a bag of chips definitely would not! 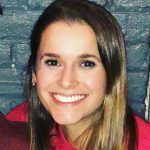 Looking for a change? Try a different seasoning! Spice it up. You can’t go wrong with these little babies. 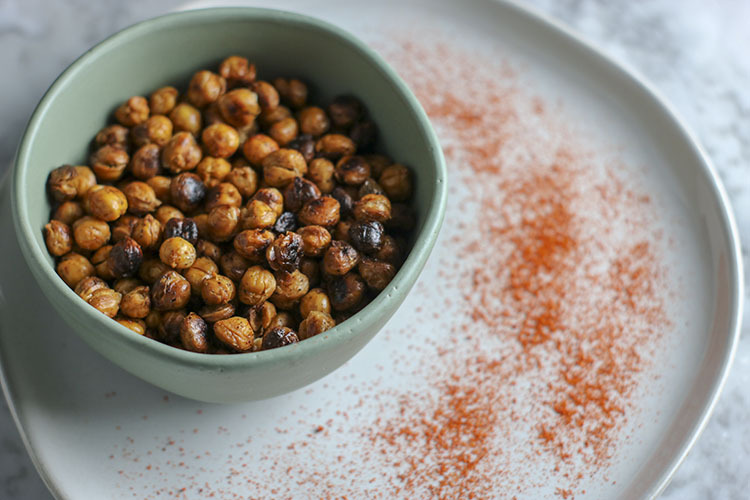 These baked chickpeas are the perfect snack - light, crunchy, and entertaining to your mouth... packed with protein to help sustain you through the day. Season with your favorite spice for an added kick! Preheat oven to 400F. Lightly spray a baking sheet with oil/cooking spray, set aside. 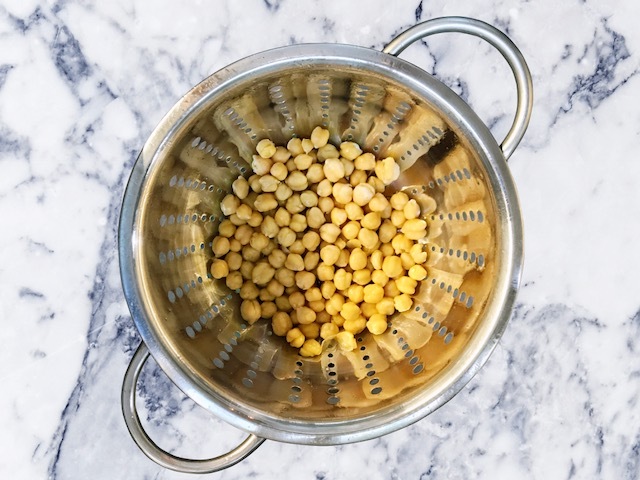 Drain excess liquid from both cans of garbanzo beans, then rinse in a colander. Shake out any excess water. Layer a few pieces of paper towel (or a clean kitchen towel) onto a plate or the counter. Pour clean chickpeas from colander onto towel - pat dry with another piece of paper towel (or kitchen towel). Once chickpeas are dried, transfer into medium-sized bowl. Coat with olive oil, then season with remaining ingredients. Stir to fully coat. Pour chickpeas onto baking sheet. Spread out evenly into one layer. Bake at 400F for 40 minutes, or until chickpeas are browned and crispy. Remove from oven and cool completely. Storage: Best when enjoyed day of creation - store in airtight container for 2-3 days. For another fun protein packed snack, check out my post on Protein Balls! Do you have any favorite work snacks? I would love to know!